Apple’s stock has zoomed to its all time high hitting $219.12 today. A year ago around this time Apple’s shares were trading in the $80s as investors were shook from the financial crisis. Investors are giving the company a big vote confidence today after learning the iPad would be launching on time, contrary to the reports floating around about delays. As Apple’s stock price continues its stratospheric ascent, we wonder how long before its market cap surges past Microsoft. Apple sits at $198.40 billion today. 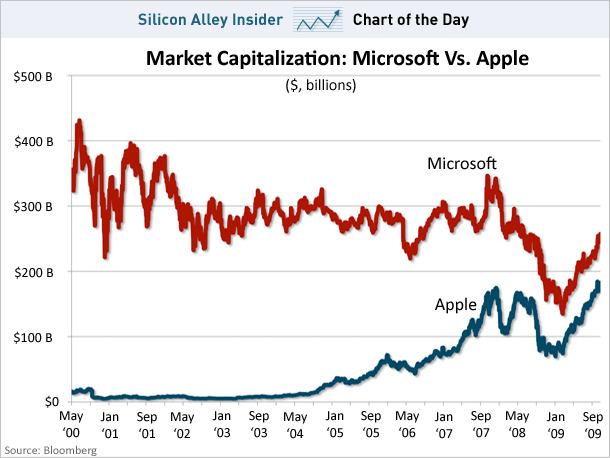 Microsoft is $249.87 billion.